41 Best Online Sites That Pay You to Do Fun Things! You are here: Home / Extra Cash / 41 Best Online Sites That Pay You to Do Fun Things! Making money online is becoming more realistic than ever. And, earning cash doesn’t have to be a chore! You can even earn cash while doing things you’d do anyway, like visit websites or play games. Some people even get paid to take surveys and watch TV! 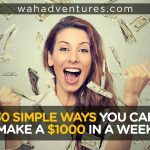 This article is all about the sites that can make you some cash by doing things you like to do. In other words, these are fun ways to earn money online! If you participate in some of these programs regularly, you can easily earn an extra $100 or more every month. Sign up for what you like and leave what you don’t. The key is to make it fun while giving you a little extra to pay off debt, save for vacation, or use for anything else your heart desires. I want to be clear that the following websites probably won’t give you a full-time income. They’re mostly intended to be resources for getting some extra cash on the side. Still, programs like Bing Rewards and Swagbucks are some of the best ways to get paid to do things online that you probably do anyway! You search the internet and watch videos, right? 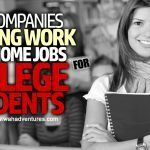 If so, then you can get paid for doing those things and make some extra income in addition to your regular job. Believe it or not, there are several ways you can get paid to watch videos and TV! Swagbucks is the ultimate way to earn cash online. One way you can do so is by watching Swagbucks videos, which are from advertising partners. You can earn SBs for each video, which you can turn in for several different gift cards and other prizes. PayPal cash is one of the most popular rewards. Hit Bliss is a video-watching platform that you can use on various devices, like your mobile phone or computer. You can watch the Hit Bliss database of videos, shows, or movies, and earn points. You then redeem your points for movies and shows in the Hit Bliss store, so you can get your favorite forms of entertainment for free! InstaGC lets you earn points in tons of ways, like searching the web or shopping online. But, one of the most popular is watching videos. These are mostly in the form of advertisements that pay you for viewing them. You can turn your points in for one of over 350 gift cards. Download Perk on your mobile device and use it whenever you watch TV or movies. Check in to your show or movie and earn points the longer you watch. Every ten minutes or so, Perk will display advertisements. You get points for each one you watch. You can redeem your Perk Points for cash, gift cards, and more. Of course, there are even website that pay you just for using the internet (what a deal, right?)! InboxDollars is a Get Paid To site that pays you for several online tasks, like taking surveys and playing games. But, you can also get paid just for doing things you likely do every day: reading emails and browsing the web. Check your PaidEmails from InboxDollars daily to earn cash. And, when you use the InboxDollars search function to browse the internet, you’ll earn more! Cash out your earnings for a check when you reach $30. Bing Rewards, also known as Microsoft Rewards, pays you to search the web! You can also download apps and purchase things from the Microsoft Store to earn points. The more points you get, you can level up and earn more points. And, you can even earn points just for using the Microsoft Edge browser for your web browsing! Redeem your points for game consoles, Microsoft Store gift cards, and more. SavvyConnect by Survey Savvy pays you $5 per month for every month you use it. The program runs on your mobile device or web browser to collect data for market research purposes. You can only earn up to $180 per year, though, so be sure to only install it on three devices. MyPoints was once all about cashback shopping offers, but it’s expanded into more of a Get Paid To site that pays for surveys, watching videos, playing games, and more. MyPoints has tons of surveys to complete most of the time so you’ll usually have a good selection. Redeem your points for several electronic or physical gift cards to your favorite places. Pinecone Research is one of the most popular survey sites in the industry. You earn points for each completed survey, which you can redeem for prizes. And, Pinecone Research also hosts sweepstakes that can give you an even better chance to earn big money! Cash4Offers pays a $5 signup bonus to new members. You can take paid surveys that are sent to your inbox to earn cash, and also get paid to read emails, play games, and more. Gift Hunter Club pays members for different tasks, like taking surveys and watching ads. It also has a convenient mobile app so you can do everything from your phone. Redeem your points for a variety of fun prizes and gift cards! Points2Shop is another Get Paid To site offering several ways to earn cash online. One of them is paid surveys. The difference with this site is that you turn your earned points into Amazon cash to spend on a variety of Amazon products. You only need $1 in your account to do so, but you may want to wait until you’ve earned enough to buy something you really want. SendEarnings has a few ways to earn cash, but one of its main cash earners is paid surveys. You can also earn money by reading emails and playing games! 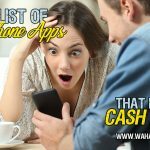 Earn cash from CashCrate for taking surveys, shopping, and more, including playing games! CashCrate will offer different games from time to time to play and compete against others. You can earn big prizes from winning. You get $1 just for signing up for an account! Playing games on Fusion Cash is one of the most popular methods for earning cash. You get $5 just for signing up for an account. You need $15 in your account to cash out and can get your money via PayPal. Cash Dazzle is a simple, spin-the-wheel game that you can play daily for a chance to hit the jackpot, which changes depending on how many people play each day. Right now, for example, the jackpot is at $1200! You have one free spin a day and can get more by completing offers. Quick Rewards is another Get Paid To site that pays you to play games. You can redeem your points for one of over 50 gift cards! Mystery shopping is one of the best ways to earn cash online, and some of the best places are listed below. But, you can even get cash back from shopping at your favorite stores from some of these websites! Be Frugal is a coupon and rewards site that pays you to shop. There are over 5,000 retailers to choose from! There are over 5,000 retailers to choose from! And, you get $10 just for joining. Your cash back from shopping goes right to your account, and you can exchange it for a check, PayPal, or Amazon gift card. Best Mark offers thousands of mystery shopping jobs every month. You must be at least 19 and have reliable transportation and internet access. Best Mark pays mystery shoppers via check. Coupon Cactus has a ton of coupons for your favorite products and retailers, but it’s also a cash back shopping site. You get your cash back deposited in your account within a week! One of the best ways to earn with this Get Paid To site is through cash back shopping opportunities. Shop with one of the partnered retailers and you’ll get points straight to your account. Then, redeem them for gift cards or PayPal cash. 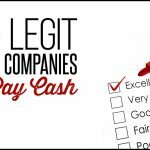 Ebates is one of the most popular cash back shopping websites. There are so many retailers to choose from here! Some even offer up to 40% back on your shopping trip, so it also has some of the best offers. And, when you refer a friend, you can get $50! ExtraBux is another cash back shopping site that gives you rewards for shopping at your favorite online retailers. You can get your cash back on a credit card, to your PayPal account, or via a check. ibotta is an app for iOS and Android that really pays you to shop. Browse the app and find products you want to purchase at your favorite stores. “Clip” the coupons, buy the products, and scan your receipt with the app. You’ll earn cash back from your coupons saved right to your ibotta account and you can cash out with PayPal when you earn $20. IntelliShop has mystery shopping jobs for those who want to provide feedback to retailers. You typically get paid between $5 and $10 per shop and can choose your shops you want to complete from the online platform. Mainstreet Shares is a community of people who love to save money. It offers cash back shopping opportunities and anyone who joins and participates earns a share of the profits. There are almost 900 stores to choose from and you’ll earn money every month based on the amount you spend shopping. Become a mystery shopper with MarketForce and shop away! You can also shop using the mobile app for iOS and Android. You’ll get compensated in cash or with free meals, depending on the shop. Mr. Rebates is another cash back shopping site with several retailers to choose from, including Staples, Amazon, and eBay. The site has an app, too, to make it easier to earn cash when you shop on your mobile device. 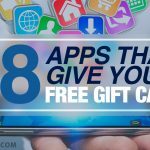 My Gift Cards Plus is a Swagbucks site that helps you earn SBs whenever you purchase gift cards! Some featured gift cards will give you cash back plus bonus SBs. If you purchase gift cards for birthdays or holidays, check this site first so you can get some money back on your purchases! Qmee is a super easy way to earn some cash just for using the internet and shopping. When you search for a specific product online, Qmee will show you the best prices or similar items from online retailers. The app runs seamlessly in the background and only shows up when you search. If you click on or purchase any suggested items, you’ll earn some cash. 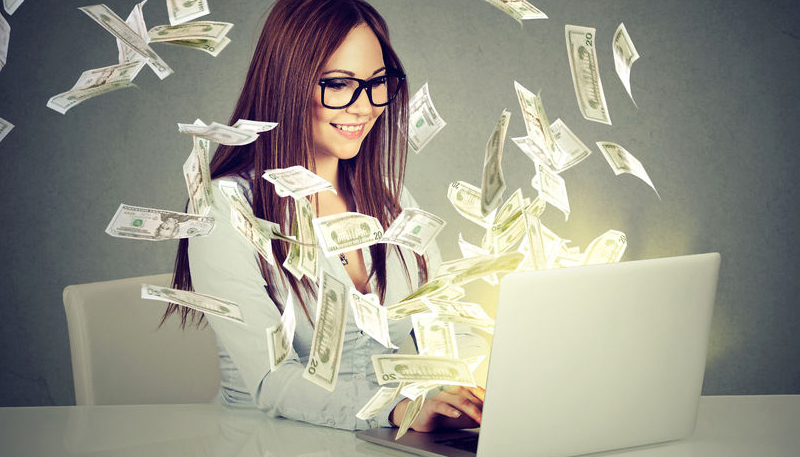 You can even earn cash just by letting it run – every time it pops up, you get a little money! Second to None is a site for mystery shoppers. As an independent contractor for the company, you’ll get to choose the assignments you want and get paid for them. You must be in the United States or Canada to apply. Another place for cash back shopping, this site will give you $10 to sign up. Then, choose from great cash back offers from your favorite retailers to make money while shopping! Shopper’s Corner is a mystery shopping site for Sinclair Customer Metrics. You’ll help shape the future of companies by offering your opinions based on your mystery shop experiences – and get paid for it. Super Pay is a Get Paid To site that mostly focuses on cash offers and cash back shopping. With cash offers, you can buy products or services and earn cash back for them. You can cash out with PayPal, up to $50, once every day. This site is for cash back shopping. There are thousands of retailers to choose from, so the ones you use most will likely be here. Shop for your items and get cash back deposited to your account. The mobile app also makes it super convenient to shop on the go and still earn cash! Analysia is a site that pays people like you to test websites for usability issues. You can get paid $10 per 10 to 15-minute test. You’ll get paid via PayPal. Make sure you fill out your profile completely to get matched with as many tests as possible. Enroll tests also help to improve websites, but are a bit less detailed than others. You may need to comment on the design or logo of a website or test out a few features. And, you can even take the tests on your mobile device instead of your computer if you choose! Each test only takes a few minutes and you’ll get paid with PayPal. Start Up Lift is another website testing company, but it’s geared toward startups. 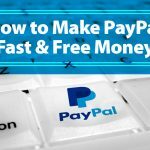 Sign up with your PayPal email so you can get paid via PayPal. You’ll get paid $5 per test, but make sure your answers are thorough so they don’t get rejected by the client. TryMyUI is one of the most popular website testing companies. These tests tend to be a bit more detailed than others, as you’ll be giving your opinions on everything from design to shopping experience and more, depending on the site. Each test takes about 20 minutes and you’ll get paid $10 for each. You must have a microphone and speak your thoughts clearly during your test. User Testing is another popular company that pays $10 per test, which each take about 20 minutes. You’ll need to download the testing software before starting. It runs in the background and records your screen as you take the test so clients can see what you’re doing as you speak your thoughts. Validately also pays you to visit websites. Similar to other testing sites, you’ll need to speak out loud into your microphone, voicing your thoughts about the website while completing necessary tasks. Most payments come within 7 days after your test is accepted and are paid via PayPal. I use several of these sites myself, even if I only do so a couple of times a week. Most months, I earn between $100 and $200 in the form of cash, gift cards, or rebates just from sticking with them. To me, that’s worth it! Most of these cash earners don’t take much time to do and you can use them whenever it’s convenient for you. What other websites do you use for extra cash that I didn’t mention? Let us know in a comment below! These 23 Best Sites Pay You a Bonus Just to Create an Account!